Kayin People’s Party’s youth chairperson Saw Win Kyaw traveled to Norway this week to meet with Karen community groups living overseas. Saw Win Kyaw told Karen News that he is using the opportunity to share the KPP’s plans and to keep overseas community members up to date on developments within Burma. 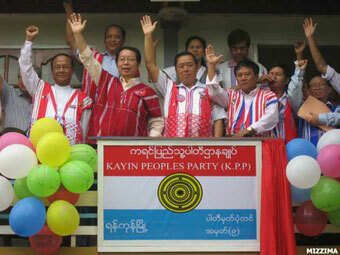 “I plan to go there to lay down the Kayin People’s Party’s policy and youth policy. After that, I hope to share and make our Karen ethnic people understand more about what is occurring, as we are facing a transitional period,” he said. Saw Win Kyaw also intends to visit Karen communities in Sweden and the Netherlands if time permits. He added that the goal of the meetings is to foster Karen unity abroad and discuss the future of the youth. Saw Nelson, a young Karen living in Norway, told Karen News that he was hopeful about the KPP’s visit. The KPP concentrated its electoral campaign efforts in Yangon, Irrawaddy, and Bago divisions in the November 2010 general election. Its candidates won six out of 41 contested parliamentary seats.